Here at Maryland Addiction Recovery Center, we believe that in order to treat addiction we must treat the entire family unit impacted by a loved one’s addiction. It is said time and time again that addiction is a family disease. If that is true, which we believe it to be, then we as providers must treat the entire family unit in order to treat the disease. We cannot just treat the patient. We cannot allow family members to drop off their loved ones at our door, say “fix them” and then allow them to go about their lives. Addiction impacts the family and therefore we must offer help to the family as well as the addict or alcoholic. Therefore, in order to treat the family unit, we believe in long term family engagement in treatment. The purpose of this is twofold: First, it allows us to coach the family and restructure the family system so that it is supporting the addict or alcoholic patient in a more healthy way. This is done by creating healthy boundaries and working on open communication while aiding in stopping enabling behaviors and helping the family hold the line in keeping their loved one accountable and responsible. Second, it allows us to support the family unit so it can be placed on its own recovery path. This is done through treatment here at MARC, engaging in outside support groups like Al-Anon or Nar-Anon, taking part in the free MARC/Caron family support group and/or seeing an outside family therapist. Additionally, we take the time to educate the family about the disease of addiction, how it manifests itself in the behaviors of their loved one and what the family’s role is in creating an atmosphere of recovery that will be helpful to their loved one. In the MARC extended care transitional treatment model, time is our friend, for both patient and family. Often when engaging with the family of a patient, we are able to identify issues within the family that are causing issues. Therefore, we are able to use creative clinical interventions to give the family unit a corrective experience. We identify and treat based on the communication and interaction we see between the members of the family unit, using therapeutic practices to create a healthier unit that will benefit the emotional health, well-being and recovery of both patient and family. 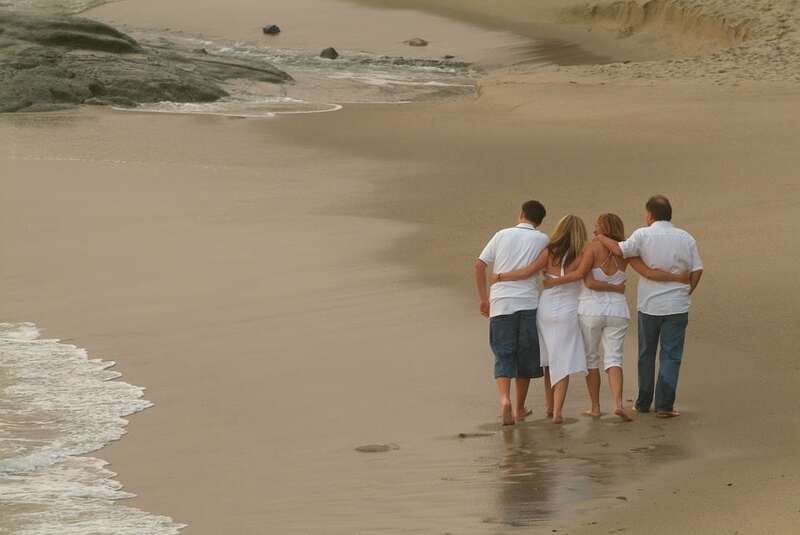 We believe that family engagement is vital in offering the most comprehensive addiction treatment possible. This means aiding families as they deal with the fallout of their loved ones addiction and its impact on them: including emotional turmoil, stress, anxiety, trauma and financial burdens. In order to do that, we make sure, through regular communication and family treatment sessions, that we are able to offer families all the available resources in order to meet the needs of their addicted loved one and themselves as both begin to walk the path of recovery.